Takeaways from the Clinton campaign autopsy "Shattered"
Journalists Jonathan Allen and Amie Parnes provide the latest autopsy of Hillary Clinton’s campaign for the presidency in their book “Shattered: Inside Hillary Clinton’s Doomed Campaign,” which was published Tuesday. Below are a few revelations from their book. Campaign manager Robby Mook put a lot of faith in the campaign’s computer algorithm, “Ada”, which was supposed to give them a leg up in turning out likely voters. But the Clinton campaign’s use of the highly complex algorithm focused on ensuring voter turnout, rather than attracting voters from across party lines. According to the book, Mook was insistent that the software would be revered as the campaign’s secret weapon once Clinton won the White House. With his commitment to Ada and the provided data analytics, Mook often butted heads with Democratic Party officials, who were concerned about the lack of attention in persuading undecided voters in Clinton’s favor. Those Democratic officials, as it turned out, had a point. “Shattered” also reveals that Clinton gave the first national television interview of her campaign to the wrong journalist. Literally the wrong journalist. Communications director Jennifer Palmieri reportedly asked top aide Huma Abedin who Clinton wanted to do the interview. When Clinton replied, “Brianna,” Palmieri booked her on CNN with Brianna Keilar. It turned out that Clinton had actually meant “Bianna,” as in Yahoo! News’ Bianna Golodryga, the wife of Obama Budget Director Peter Orszag. Orszag had also served in the Clinton administration as an economist. “By the time the mistake was realized, it was too late to pull back,” Allen and Parnes wrote. 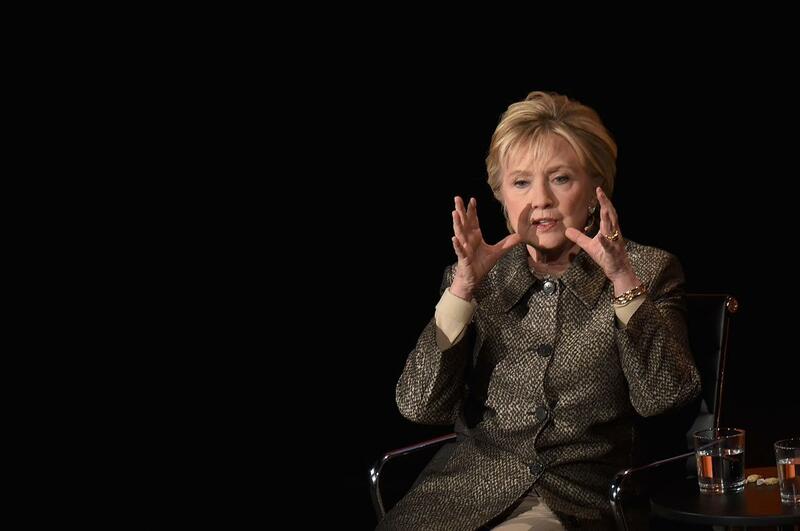 The interview, the two wrote, “was a disaster.” An aide described Clinton as “staring daggers” at Keilar during the interview, which did not serve her press team’s hopes of revealing a Hillary Clinton at ease with the press and confident her email troubles were nothing to be concerned about. Out of fear that Bill Clinton might steal the spotlight from his wife, the Clinton campaign did their best to limit his face time with voters and the media until later in the campaign. “This race is between Donald Trump and Hillary Clinton, not Donald Trump and Bill Clinton,” Mook told CBS’ Face the Nation. Mr. Trump attempted to drag Bill Clinton’s legacy into the newscycle by reintroducing the topic of his infidelity and casting him as a someone who, “actually abused women.” This was obviously inconsistent with Mrs. Clinton’s narrative someone who would actually stand up for women. While Bill Clinton had an obvious personal investment in his wife’s success, the campaign saw his image as a potential liability despite his past success in wooing working-class white voters, who wound up voting en masse for Mr. Trump. “She believed her campaign had failed her - not the other way around,” the staffer said. Clinton then used the information in post-election meetings with aides during an “autopsy” to figure out what went wrong. “The men and women she met with, apparently unaware she has access to their emails, were amazed that a woman who had been traveling the country in pursuit of the presidency had such a detailed grasp of the machinations at the campaign’s command center in the Washington suburbs,” the authors write. That’s what Obama told Clinton by phone in the wee hours of the morning on Nov. 9, around the time her campaign chairman, John Podesta was telling supporters they wouldn’t hear from Clinton just yet, around 2 a.m. In a conversation with Mook, just before she spoke to the president, Clinton had indicated she wasn’t prepared to concede. “I’m not ready to give this speech,” she told Mook. She wondered what she would say to the women, young and old, who had championed her candidacy, Parnes and Allen wrote. Obama called Podesta, and reiterated what he’d already conveyed to Clinton, that it was pointless to prolong the process. He didn’t want to see her question the integrity of the election, as her opponent had. Soon after she spoke with the president, and after the AP had called the election for Mr. Trump, Clinton made the call to her opponent. “Congratulations, Donald,” she told him, in a call that lasted under a minute. Then, there was another call from Obama. Huma Abedin handed her the phone.